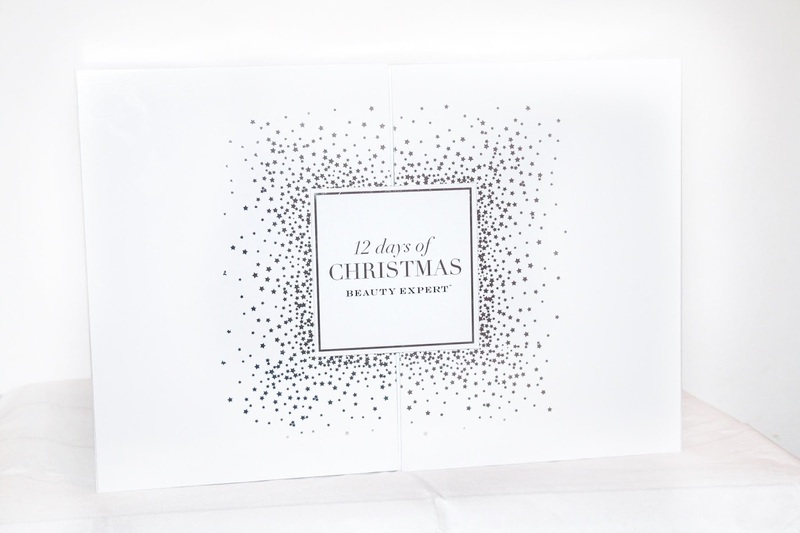 Beautyqueenuk | A UK Beauty and Lifestyle Blog: Beauty Expert Limited edition 12 Days of Christmas Advent Calendar + Win one for yourself! 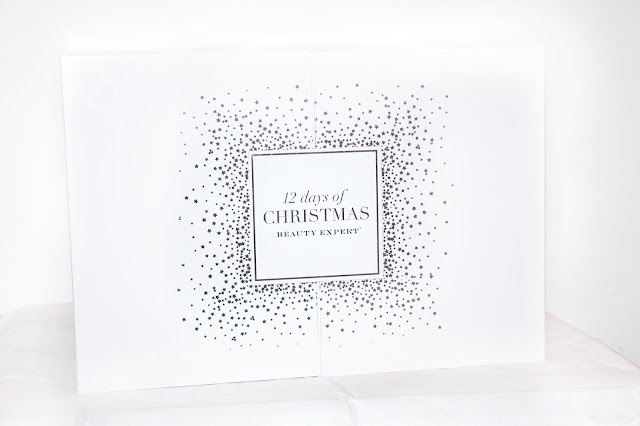 Beauty Expert Limited edition 12 Days of Christmas Advent Calendar + Win one for yourself! If you still haven't decided which Beauty Advent Calendar to purchase (see my post here) then hold on just a few minutes because I am giving you a chance to win an amazing Beauty Expert Limited Edition 12 Days of Christmas Calendar within this post. 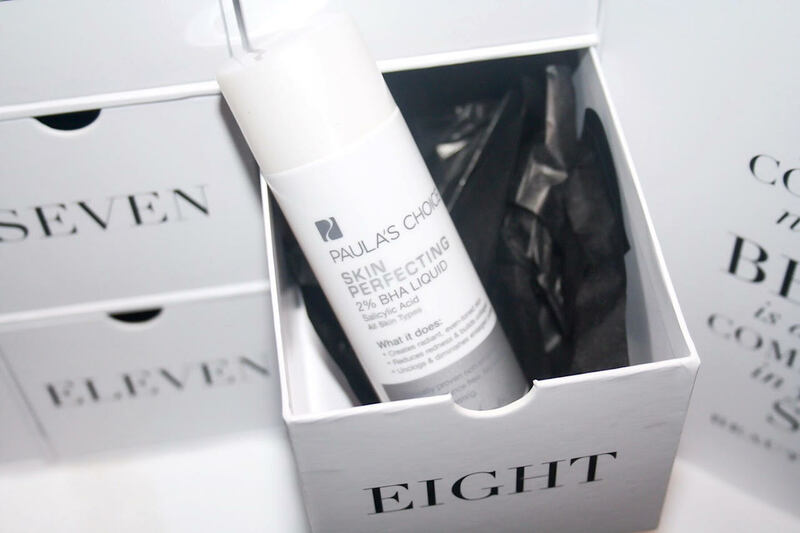 Beauty Expert was born a decade ago and brings you an expertly curated selection of luxury products sourced from around the world. On the website, you will find brands such as Eve Lom, Omorovicza, DHC, Alpha-H, Erno Laszlo, Aesop, and Ren. Whether you are looking for skincare, makeup, hair care, body care makeup tool or even some inspiration, everything you will need is there. As you can see, this Beauty Calendar is absolutely huge. Decorated with a bright white shiny outside as you open the front doors to the Calendar, inside you are greeted with 12 individual boxes and those boxes are in fact really deep drawers, which will be useful to store things in after you have finished with the Calendar. Inside each of the drawers you will find a whole host of products which include everything from Skincare, hair care and body care and they are from some amazing brands and they include - Omoroviciza, Eve Lom, Paula's Choice, Pai, Gatineau, Caudalie, Korres, Skimono, Cult 51 and quite a few more than I have not mentioned in order to keep an element of surprise. If you want to know the full contents, I have no doubt you can see them online. The Advent Calendar launches today (here) and will cost £100 and has contents worth an amazing £340. So if you want something a little bit exciting, something that looks incredible and is of course amazing value for money - Beauty Expert has quite the offering. As I said, I have one of these calendars to give away and to enter all you need to do is complete the widget below. I've not had an advent calendar for years, this would be really special! I would love to win this! It looks amazing and there’s some products that I would really like to try. It looks lush, good luck everyone! £100 of product which is worth over triple the amount? Well that's Christmas come early surely! Love these advent calendars as it's the perfect opportunity to stock up AND discover new faves. Oh wow this sounds amazing!!! I really want a beauty advent calendar this year!! I'm such a child over christmas I simply must have an advent calendar. Doesn't matter whether it's chocolates, or candles, opening that little box each morning is so exciting! Obviously a beauty one like this would be the ultimate, I've never had one like that before. Those are some really heavyweight products. I think it would have been nice to have some colour in the actual box itself. I’m trying to be good and don’t spend too much before Christmas and instead treat my mom to some beautiful pressies, so I’d love to win this one! I would love to win to spoil my best friend! I'd love to win because this is just my sort of advent calendar!! Not entering but my gosh what an amazing prize! Because I think I deserve a treat from my 3 toddlers!!! I'd love to have an advent calendar that won't make my waistline expand! This would be such an amazing pampering treat for myself and so many treats. Plus a great storage box after christmas. I'd love to win this because it would make waking up on the cold dark mornings in December a little bit better knowing I could open a window on the advent calendar and get a treat! I'd love to win as I've always loved Christmastime, when I discovered beauty advent calendars 2 years ago they added to my joy. This year there are so many that it has really made selecting which to have difficult, by winning this amazing calendar it would just add to my fun during the silly season! 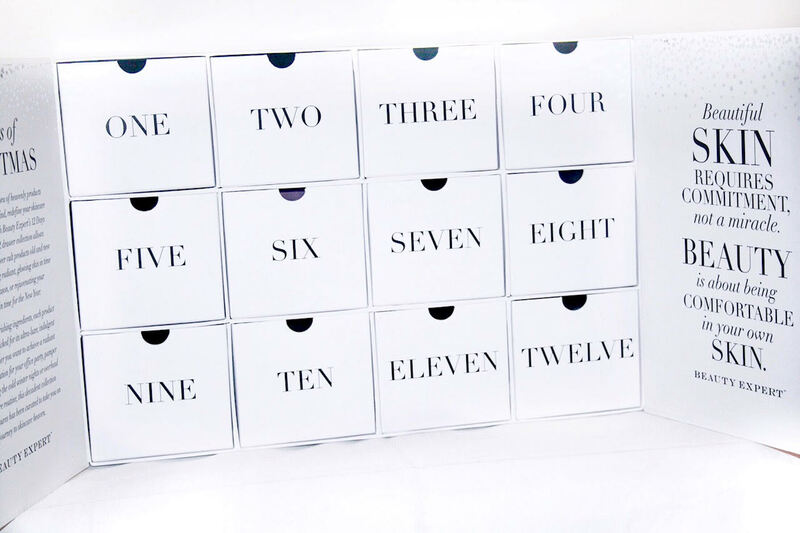 I've always wanted a beauty advent calendar. I'd love to win this one. It would be so exciting trying all these different products and having a surprise each day. This would be a lovely treat for my daughter, who would love to try these products. Such a great giveaway! Good luck everyone! i ve ALWAYS thought these were a great idea and really wanted one! i did buy a body shop advent last year but my teenager pinched it!! I just love these types of advent calendars, Great that adults can have one too! This looks fantastic. I've not had a beauty calendar before just chocolate ones. My son has has a toys one before, that was fun! I've bought Mr Mac an extremely expensive Craft Beer advent calendar, and dropped many many hints about three different beauty advents (and one gin one!) that I'd love, but despite all this, I just know I'll get another pigging Thorntons one. Not even Hotel Chocolat!!! It looks sooo pretty and gorgeous! Pretty much why i want this beaity advent! It has been a hard year - this would be an amazing treat! Because it looks amazing! Would love this so much!! I'd love to win this, it's a great selection of products with lots of skincare which is my cup of tea! I love advent calendars and this one isn't fattening! I'd love to win because I never get a nice advent calendar! This advent calendar looks amazing! What a lucky person the winner will be! I'd love to win -as a busy mum and student I've let myself go a bit, and I'd love to treat myself! I love the sound of this Advent calendar and what amazing value! I'd love to win because I've not been able to afford to treat myself to anything in months, so it would really make my Christmas. I am such a big beauty junkie , who wouldn't what to win this amazing advent calendar ?The brands are amazing and I know that the quality of those products pretty amazing as well. Honestly? It's about time I looked after and treated myself! And what better way than with this! I've always wanted a very special advent calendar that doesn't add to my waistline! Such an amazing calendar! I have my fingers crossed!! Would love to win as a present for my wife. So many fab products I'd love to try!! This calendar sounds amazing! I love skincare treats, minis & full-sizes alike :) And these are all really great brands! I've wanted one of these for years but can't justify the cost! This looks amazing! It's always the kids that get calendars the last few years so I'd love to have one for me too! Looks like a totally fun and unique calendar! I love that you get to see and choose so many products! This looks amazing for Christmas and fab giveaway too! i never treat myself with products, and this would be a treat every day, it just sounds awesome! I've never had a beauty Advent calendar before, so the Beauty Expert one would be an awesome first for me. Move over chocolate, it's all about beauty advent calendars. Yup, while a definite highlight of December used to be waking up to a sweet treat from our advent calendar, now it's about having some dreamy makeup or beauty treat every day. Ranging from small bottles of perfume to little pots of cream blush, there's pretty much something for everyone and for a beauty lover like me, it's a dream come true. This would be amazing for my wife, she'd LOVE IT! I've always wanted a beauty advent calendar and have been obsessing over all of this year's ones, but still not got one! It would be awesome to have a little treat every day! nice things make you feel good. i've not been feeling very good for a while, so winning this would really give me something to smile about. would love to win because I love trying different beauty products. Overwhelmed by the vast array of advent calendars this year - this one looks amazing, but would be out of my price range. Would love to win it! This sounds like an incredible beauty calendar. Very indulgent! This is such an indulgent luxury and the type of thing I can't justify treating myself to with two young children so to win one would be incredible! Would love to have some treats for myself if I'm honest!! What an amazing giveaway. I would love to try one of the big beauty advents, so much nicer than a choccy one. This is amazing! Wish me luck!!!! It looks beautiful and a great way of celebrating Xmas. What a fab beauty advent and such great contents! I would love to win this luxury calander as I can only ever afford cheap beauty products so these would be a real treat! I should LOVE to win such a super Advent calendar - I'd feel really spoilt and Christmassy! I'd love a grown up advent calendar, sure make a change from all that chocolate. I'd love to win as I haven't had an advent calendar in years! This would be perfect to wake up to every morning in the run up to Christmas - I love getting little treats! I'd love to win this advent calendar as my husband and kids get one every year but I haven't had one since I was around 12 years old. I love advent calendars but not a fan of the chocolate one - this looks amzing with some fantastic products to try out. I've had such a dreadful year & I want to end this year on a high so I would like the best Christmas possible this year and I love all things beauty. This is such a prefect prize, a new goody to try every day! Not only have I not had an advent calendar in years, this one looks to be such a luxurious treat. i'd just love to get to be super excited every day to open each door, ive always wanted one. 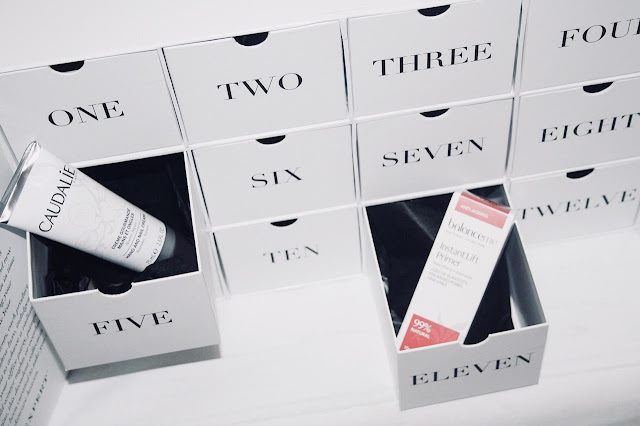 I would absolutely love to win this advent calendar as I have never had a beauty advent before and I've just recently started trying new skincare and I think this would really help me try new products!! I've not had a beauty advent calendar before. I was tempted last year but the prices were rather high! I would love to win this so I could share it with my Mum. We would love this! I love trying out new things, a surprise everyday would be great! I would love to win this, I haven't had an advent calendar since I was a kid, would love some pampering too! i love beauty advent calendars but cant afford one this year so this would be great! I just love this and Advent Calendars are such a lovely treat. Would really love an Advent calendar of my own - especially one that doesn't have any calories! I want to win because this looks fab and who wouldnt want to win it! Like most Moms, I generally put myself last (happily) on the list when it comes to treats. I have spent the entire year doing everything I can and spending every penny on my son's 4th birthday trip to Disney World. It would be lovely to just have a little something to treat myself. Not that I won't enjoy Disney too. I'd also probably share them out amongst friends and family as there is no way I would need everything in there - just exciting to get a surprise every day. To try out some new lush products. Amazing giveaway! I'd share with my friend! I haven't had an advent calendar for 20 years so to win would be a huge treat! I'd love a beauty advent calendar, I haven't had an advent calendar since I left home 30 year ago, not even a chocolate one! This is amazing! Super pretty :) I'd like to win because I love beauty, plain and simple! Plus, I have a sister and mum who would no doubt love to try some of these products too. I would love to win this so much. I lust after the beauty advent calendars every year, and never get one. I usually get chocolates, and my children pinch half of them!